I’m not a big drinker. I honestly don’t like the taste of most alcohol. 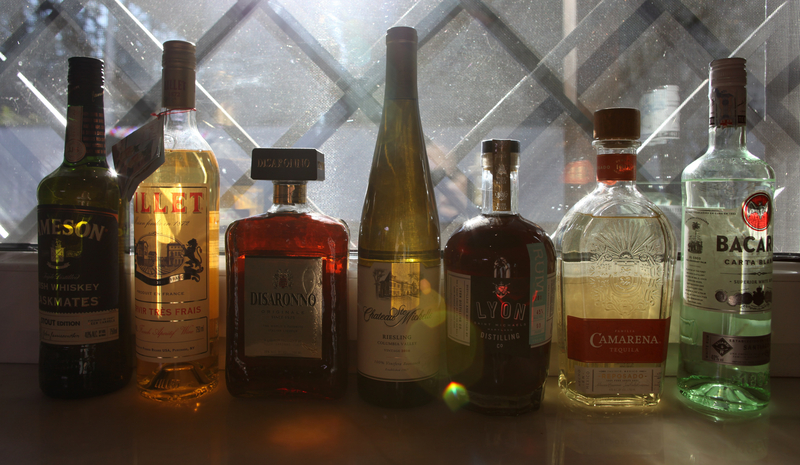 I hardly drank in college – relatively speaking. I think I can count the number of times I’ve been truly drunk on one hand. I’ve never made it my mission to get drunk. I’ve never wanted to get out of control or black out. And I’ve never, ever, enjoyed that feeling. If it were up to me, I would have a glass or two of good wine at dinner. Or perhaps a mixed drink if the menu looked particularly good. Never would I intentionally drink a full bottle of wine myself, black out, throw up, wake up hours later in my own bed somehow, and wonder exactly how I got there. I think I would have avoided the aforementioned experience completely had we not joined the Foreign Service. 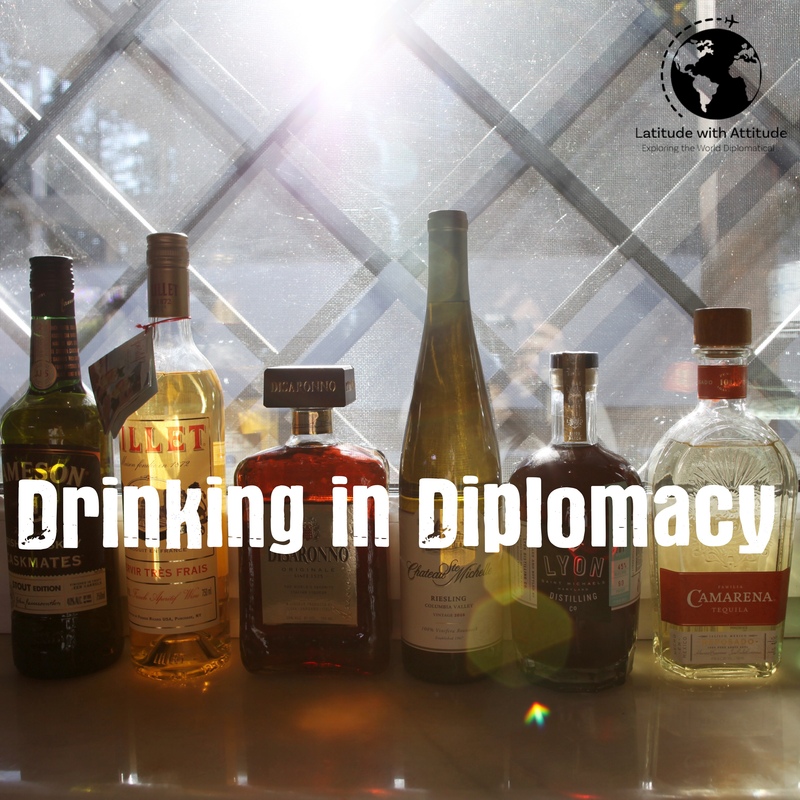 Drinking in the name of diplomacy is one of the many ways I feel like my life does not fully belong to me when we are overseas. I am lucky that as a woman, I’m not expected to drink as much as the men, but there’s still a huge amount of peer pressure involved at some of these events. And Sean has it a thousand times worse. For one, he’s needed at more events, and two, as a man, he’s expected to drink his weight in vodka, or wine, or chacha, or whatever. And, without a doubt, if he tries to say no, someone in the group won’t accept that as an answer. Why is it unacceptable for someone to say no after the third glass of wine or second shot of vodka? Why is it ok to push alcohol on anyone? Why does it always seem like getting drunk the goal of the evening? Why do you think it’s funny to watch your guest become miserable? Why is health not an acceptable answer for saying no? I’ve wanted to scream these questions at hosts as I’ve watched us slip into a drunken stupor. I’ve even gone so far to say “the only way I’m going to get out of drinking is to get pregnant!” That’s ridiculous. Now, to be fair, not all diplomatic experiences are like this. We’ve had lovely days with family friends that end in a dinner where the host made it very clear drinking was completely optional. But every time something gets out of control and one or both of us gets sick it eclipses all the good experiences. I’m left feeling bitter and resentful towards all of it. I can’t imagine others involved like the hangover the morning after either, right? Can’t we all get together and decide enough is enough? Unfortunately I don’t really have a good solution for moving forward. There will be more diplomatic dinners with pushy hosts and alcohol that flows like water. I think the best thing I can do for myself is draw a hard line in the sand. If I don’t feel like drinking, I won’t. If I’m done after two glasses, I’m done. If you have a problem with that, I don’t care. And if that makes me “unpopular,” “no fun,” or “crazy” so be it. I’d rater be all those things than hungover, thank you very much. Another FS spouse here (first tour for us and I’m 3 months in to joining my husband here). I also happen to not drink and haven’t for several years. Luckily, I haven’t yet faced pressure per se and my husband’s position doesn’t require many of the social obligations that other spouses may have.